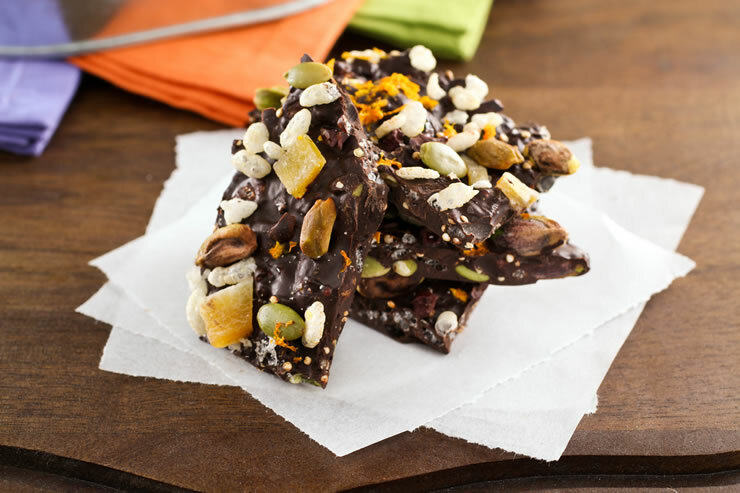 Chocolate bark is simply a layer of chocolate with ingredients such as nuts, seeds, dried fruits, and other delectable ingredients mixed into it, strewn on top of it, or both. It’s easy to make, it can be customized to your preferences, and it tastes darn good! It is that time of year when children don their costumes and go door-to-door collecting candy! What is Halloween without candy? Yes, it is costumes – which admittedly are pretty sweet – but without candy it is not nearly as much fun. That is why it breaks my heart to see the kids on Halloween night going from door to door collecting commercially produced candy. Aside from being bland and boring, these mass-produced candies are loaded with high fructose corn syrup, artificial flavors, low quality chocolate (if it is actually chocolate and not chocolate-flavored coating – ick), waxes, gums, preservatives, excess salt, and lots of other junk. Not to mention most mass candy producers do not use fair trade sugar or chocolate. Yuck! In a perfect world candy would be made from the best quality ingredients, corners would not be cut, and it could be something to truly be savored and enjoyed. Since the world is not perfect – yet – I make candy that I am happy to eat, and share, because I know it is made with the best ingredients. It is my little rebellion against the junk that is so prevalent on the market. When you make candy you have complete control over what you put in it. You can pick things you and your little ghouls enjoy, and you can be certain that you are making a better choice, because, while candy will never be truly good for you, it is good for the soul. This year I have been experimenting with chocolate bark. 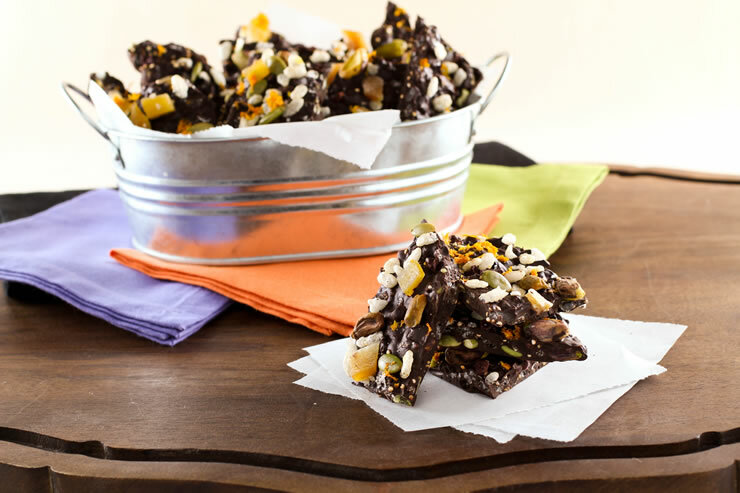 If you don’t know, chocolate bark is simply a layer of chocolate with ingredients such as nuts, seeds, dried fruits, and other delectable ingredients mixed into it, strewn on top of it, or both. I love bark because it is easy to make, it can be customized to your preferences, and it tastes darn good! I love a shard of bark as a dessert with a cup of coffee, or as a pick-me-up in the afternoon. It is also a fun candy to make with little ones as no real skill is required, just melting chocolate, mixing in the additions, spreading the bark thin, and sprinkling with more additions. Easy! For this bark I decided to add nuts, seeds, cacao nibs, puffed brown rice cereal, dried mango, orange zest, and homemade puffed quinoa. Puffed quinoa adds a nutty crunch to the bark, and a fun texture along with the puffed brown rice. I did not add any sugar to this bark because the chocolate, which was 72% dark, was plenty sweet for my taste. If your little phantoms like it sweeter use a chocolate in the 60% range. 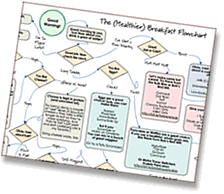 Be sure to check out Andrew’s chocolate guidelines before buying, because chocolate can be loaded with ingredients that don’t pass the kitchen test. Also, check your dried fruit for added sugar and other unsavory ingredients. Some of it is treated with chemicals to retain or enhance color. Chocolate Bark is a fun candy to make with little ones as no real skill is required, just melting chocolate, mixing in the additions, spreading the bark thin, and sprinkling with more additions. Easy! In a pot over medium heat add the oil. Once the oil is heated and starts to shimmer add the quinoa and cook, stirring constantly, until the quinoa is golden brown and puffed, about 2 minutes. The quinoa will pop similar to popcorn, but it burns easily, so pull it from the heat and place in a cool bowl, even if it is not done popping. Let the puffed quinoa cool to room temperature. In a medium bowl combine the puffed quinoa, pistachios, pumpkin seeds, puffed brown rice, dried fruit, and cacao nibs. Mix well then reserve ¼ of the mixture in a separate bowl for topping the bark. 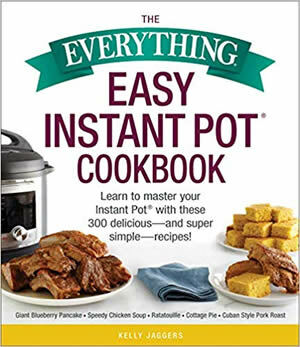 In a large bowl over a pot of simmering water add the chocolate. Stir until the chocolate is completely melted, about 5 minutes. Remove the bowl from the double boiler and immediately add the larger portion of the nut mixture to the chocolate and fold gently to combine. Spread the chocolate mixture onto the prepared baking sheet until it is about ¼-inch thick. Sprinkle the reserved nut mixture over the top, and sprinkle the sea salt over that, if desired. Refrigerate the bark for 1 hour then break the part into 1-inch pieces. Store the bark in an airtight container in the refrigerator. 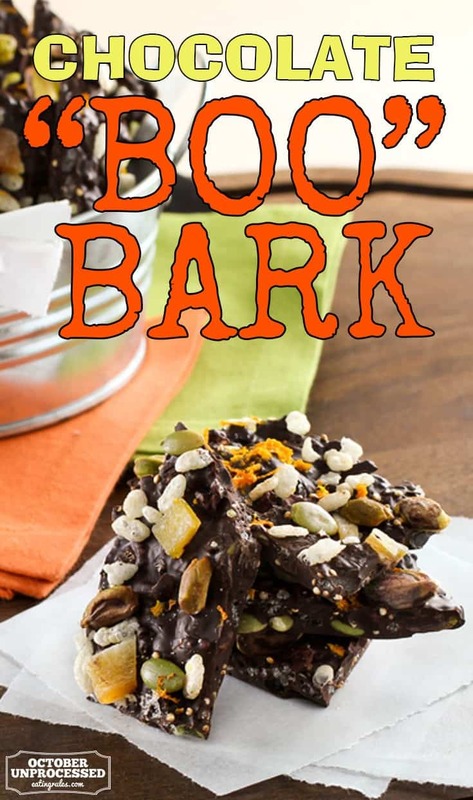 Love the popped quinoa and all the other goodies in this bark. Pinned! How cool that you found a way to incorporate all that awesome stuff into these bars! I love quinoa, but I had no idea you could pop it. That alone is interesting. I’m wondering, if you tempered the chocolate, would you still recommend keeping it in the fridge?